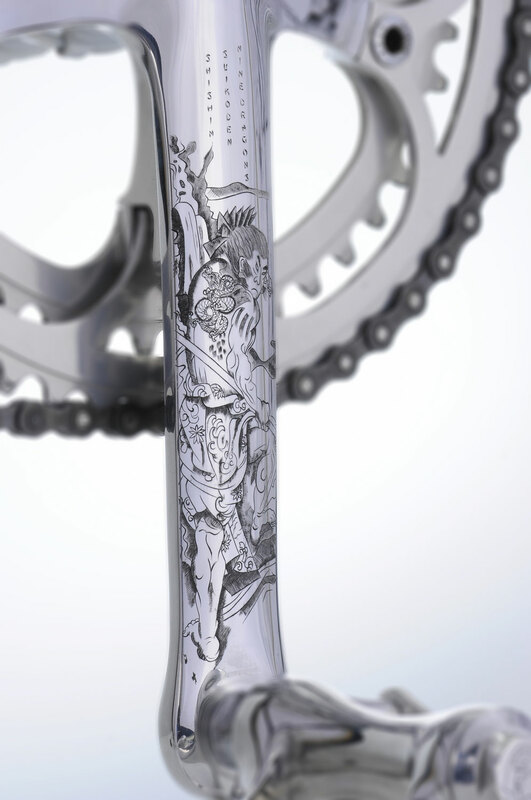 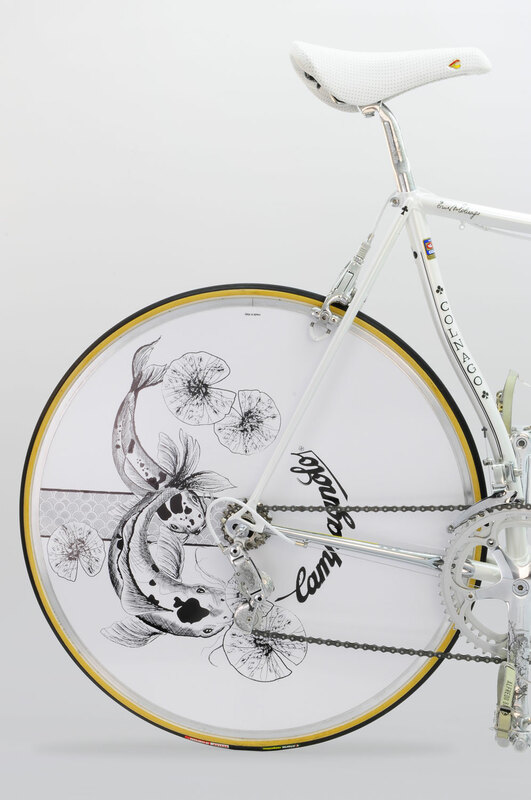 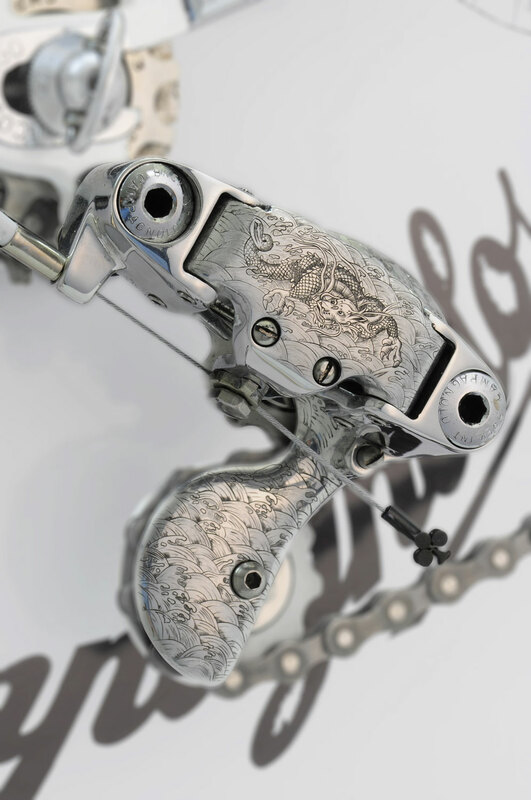 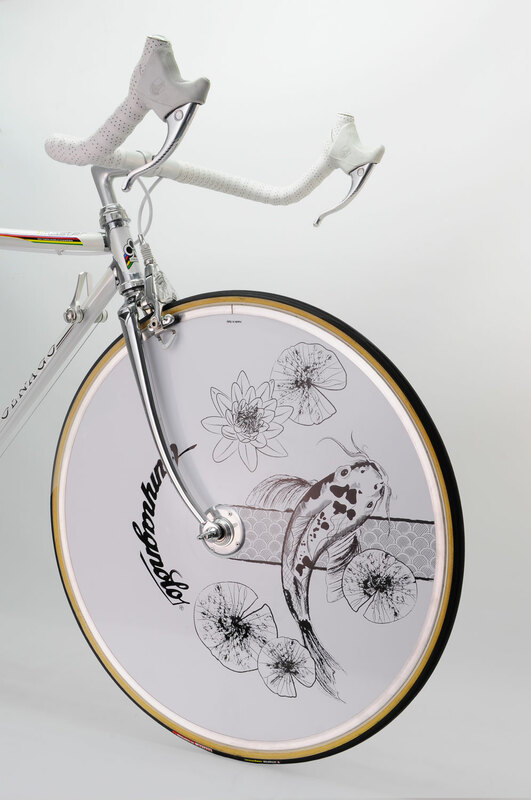 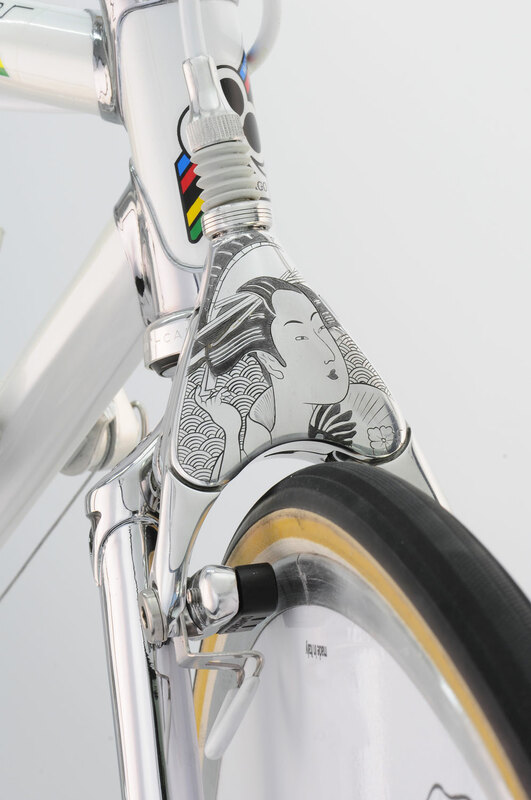 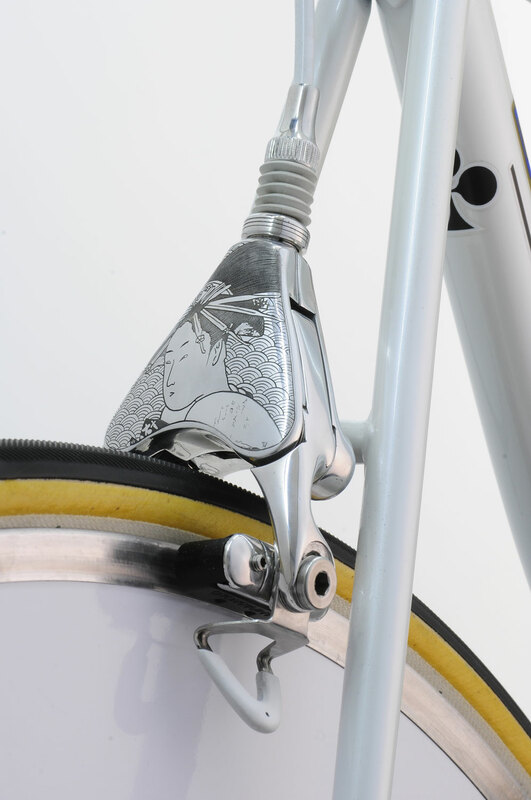 Javier Jubete of the Spanish-based Vintage Luxury Bicycles brand specializes in bespoke, chrome-engraved bicycles featuring traditional Japanese art. 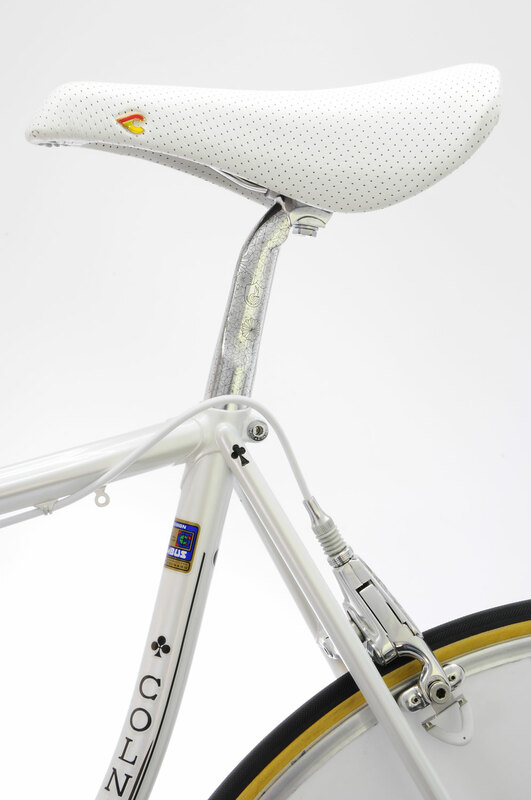 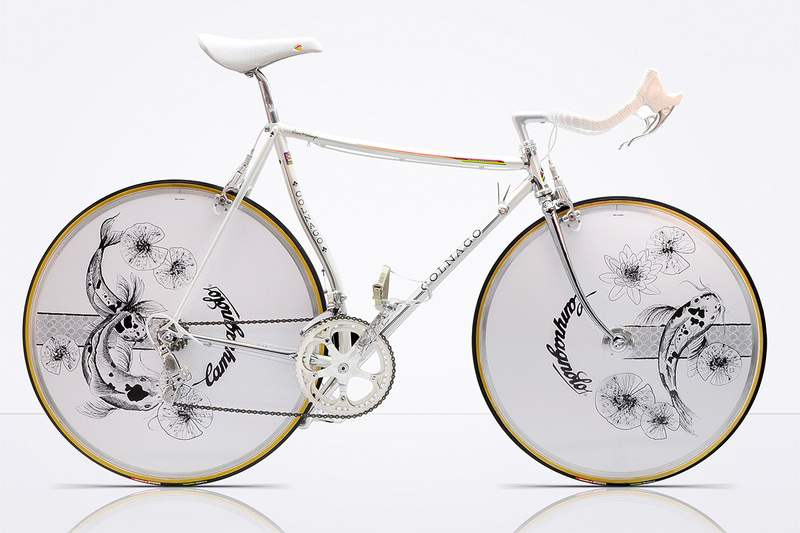 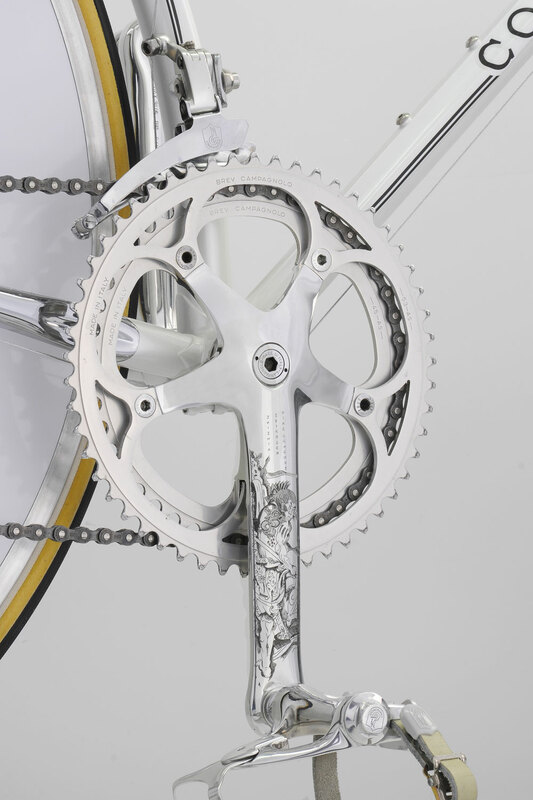 The new chrome and freshly painted white pearl body reinforces the engraving and drawings on the various parts of the bicycle and wheels. 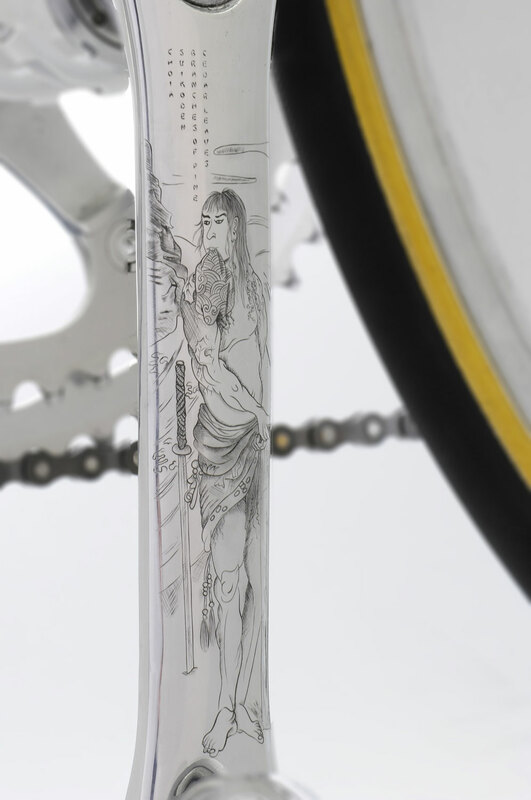 Though the newly reworked gold-plated Campagnolo classics retain their traditional edge, vintage luxury bicycles implements complex Japanese motifs on each bicycle. 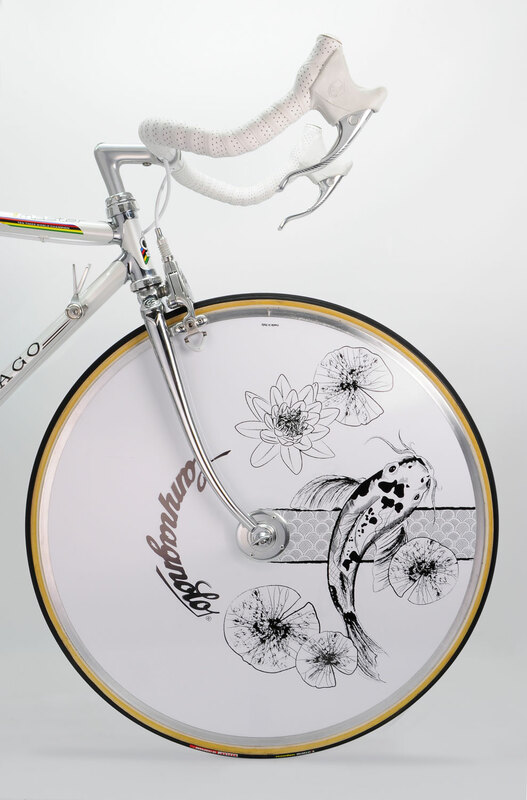 Vintage Luxury Bicycles’ latest collection celebrates the union of both the Italian and Japanese cultures. 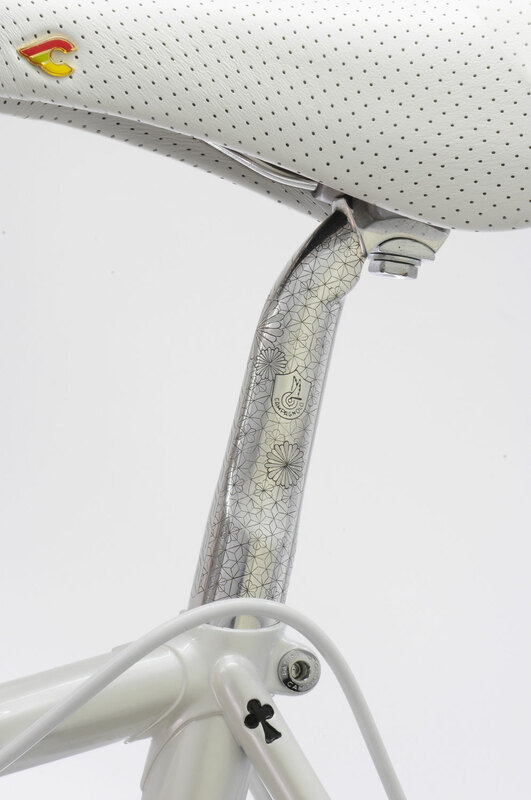 The newly revisited Campagnolo bicycles feature slim 700c and 650c wheels and the tubular system by famed Italian brand, Vittoria.